Milwaukee, WI — November 6, 2018 — Badger Truck & Auto Group is pleased to announce an expansion to its family of companies after acquiring substantially all of the assets of Lakeland Chevrolet of Lake Mills. The sale will allow Badger Truck & Auto Group to better serve its customers by adding the Chevrolet Commercial Truck franchise, set to begin production late this year. The acquisition welcomes the responsibility of the sales, service and parts departments under the business units of Badger Truck & Auto Group. Badger Truck & Auto Group, a second generation, family-owned commercial truck dealership, has been a leader in the commercial truck industry for over 50 years. Recently, Badger Truck & Auto Group has been awarded the Wisconsin Deloitte 75 award for the fourteenth consecutive year and has achieved Top Ford Truck Dealer in the Chicago Region Market for Overall Truck Sales, Heavy Duty Commercial Truck Sales, and Medium Duty Commercial Truck Sales. “We are looking forward to delivering vehicles and services to the Lake Mills and surrounding communities by aligning our organization’s goals with the current success of the Lakeland dealership. By also gaining the Chevrolet Commercial Truck product line, we are able to offer a complete suite of product offerings to our customers nationwide. Chevrolet and Buick’s product line is complementary to our existing Ford, Chrysler, Dodge, Jeep, RAM and Isuzu franchises across Southeastern Wisconsin. The acquisition adds to our capacity and geographic footprint in our market area and at a national level,” Paul Schlangenhauf, President and Dealer Principal. “Our family of companies has made impressive gains after purchasing the RAM franchise, New Glarus Motors, in 2015. The addition of the Chevrolet and Buick brands will prove our commitment to serving our customers in the retail, commercial, parts and service markets. Continuing to grow the Badger Truck & Auto Group brand provides our customers with unparalleled service,” Matt Dierksmeier, Vice President. 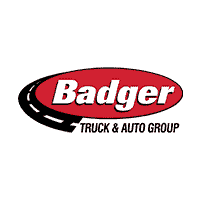 Badger Truck & Auto Group, established in 1965, is a second-generation, family-owned commercial truck dealership with locations throughout southeastern Wisconsin. Badger started its business with the Ford franchise, and has expanded to include Isuzu and Chrysler, Dodge, Jeep and Ram. Additionally, Badger Truck has expanded its line of businesses to provide complementary services to its customers to include Badger Heavy Truck, Badger Truck Equipment, Quick Lane Tire and Auto Center, and Badger Rebuild divisions. Badger’s philosophy of teamwork, integrity, and open communication with customers ensures high quality equipment at the best value. Headquartered in Milwaukee, Wisconsin, Badger services customers throughout Wisconsin and Illinois.